So there's no denying it, Starbucks is bashing me over the head with a "musical" reminder that Christmas is just around the corner. Our house is totally un-chrismafied, apart from the enormous box of 50 kids' presents that is shoved under the dining table. They're not for J & F, they are for a whole load of twins who will be at the annual MOMs Christmas Party on Saturday. To tree or not to tree? How do we feel about fake trees (can't believe I just typed that out loud)? What are the odds on the boys ripping the lights out of the sockets and ending up with charred faces and stand-on-end hair as a result? Should I just face the fact that it's about time I trusted them? or is that the toffee nut latte talking? I got our decos out the other day - they are looking really rather sad. They are mostly from Paris, I think we bought them about 5 years ago - can that be right? Anyway, I think it's time to reconsider the tree trimmings. Whether we have a tree or not. At Joey's baby shower, we all gave the glowing mum-to-be tips about motherhood. Mine was dull and practical. But someone suggested that everyone should start a tradition with their kids, something that's special just for the family. And shouldn't it be at Christmas? So blogosphere, any ideas? p.s. 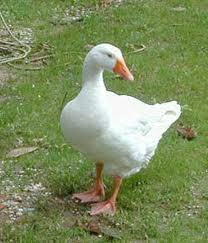 we once had a goose for Christmas lunch, it was minging, don't do it.